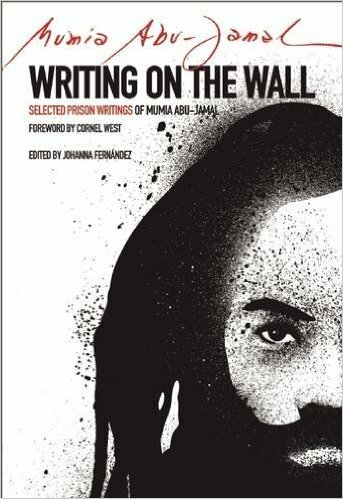 A review of Writing on the Wall: Selected Prison Writings of Mumia Abu-Jamal. Editor, Johanna Fernandez. Foreword, Cornel West. City Lights Books, 2015. Mumia Abu-Jamal’s eighth book written from prison cells in the state of Pennsylvania, USA, is a selection of 107 essays that date from January 1982 to October 2014. They cover practically the entire period of his incarceration as an internationally recognized political prisoner. Most of the pieces were written while he was on death row after being framed for the murder of police officer Daniel Faulkner on December 9, 1981 in the city of Philadelphia. Some were aired on Prison Radio. The most recent writings date from 2011, when his death sentence was finally ruled unconstitutional and commuted to a term of life imprisonment. The title of the book brings to mind the traditional gospel song, “Handwriting on the Wall,” based on the bible story told in the Book of Daniel about letters written by a mysterious hand on a wall during a great feast given by the King of Babylon. “Somebody read it. Tell me what it says,” goes the song. “Go get Daniel, somebody said.” When the prophet and former prisoner Daniel was brought in to interpret the handwriting, he told King Belshazzar that his days were numbered and that his kingdom had come to an end. The prophecy was fulfilled that very night. Somebody trying to make sense out of what goes on in our times might well say, “Go get Mumia.” He is an adroit interpreter of the signs of the times and even in his extremely vulnerable position has never hesitated to speak truth to power. But even though the rich and powerful would do well to pay him heed, he doesn’t write for them. Long ago he began to express his solidarity and share his insights with people struggling to survive in the Black communities, working people, students, teachers, artists, musicians, activists, people who’ve never had a job and probably never will, prisoners, freedom fighters, entire peoples slated for extermination, the subjects of empire who have nothing to lose and everything to gain from resistance, rebellion and revolution. Mumia always writes from the ground up and never bows down to power. In his prologue to the book, Cornel West speaks of Mumia Abu-Jamal as not only an outstanding writer and journalist, but “a living expression of the best of the Black prophetic tradition.” The philosophy professor defines this tradition as a “principled and creative response to being terrorized, traumatized and stigmatized”––a response to slavery, white supremacy and other manifestations of oppression with “a vision rooted in analysis,” that leads to organization and mobilization. In the field of Black journalism, says West, Mumia follows in the footsteps of anti-lynching crusader Ida B. Wells Barnett, whose courage was incomparable. …white terrorism, perpetrated through lynching, was the peculiar American custom that wasn’t spoken of in polite society. So, quietly (except for Ida B. Wells), Black bodies hung and burned by the thousands across America, the courts and law deeming it mere local custom, beyond their control. Editor and history professor Johanna Fernandez, in her Introduction to Writing on the Wall, notes that Mumia Abu-Jamal articulates many uncomfortable truths. His voice reveals the centrality of black oppression to the project of American capitalism and empire, the unbridled racism of the U.S. justice system, the immediate and rippling horrors of war, the unfinished project of American democracy, and the possibilities of a liberated society not just for Black people at home, but for everyone, everywhere. In this volume we get a glimpse of the Black Liberation Movement that Mumia comes from and the organizations he is most closely identified with: the Black Panther Party and the MOVE Organization. These pages tell of historic figures who inspired rebellions and movements that, in turn, gave rise to leaders who inspired him, including Papaloi Boukman, Jean-Jacques Dessalines, Nat Turner, Harriet Tubman, Frederick Douglas, Frantz Fanon, Malcolm X, and Ella Baker. The book opens with writings about Mumia’s own arrest, imprisonment and trial in the social context of injustices faced by thousands and the historical context of slavery. Where was the presumption of innocence for Mumia when his $250,000 bail was revoked one day after it was set? Non existent, he says, given that the deceased was a white Philadelphia cop and the accused an outspoken activist and MOVE supporter. In the 1970s, as a radio journalist in Philadelphia, Mumia Abu-Jamal had gotten to know the multiracial MOVE Organization when he covered their numerous trials resulting from conflicts with the Philadelphia city government. He was drawn to the anti-authoritarian, communal way of life of these urban revolutionaries who considered all life sacred and defended nature, animals and human beings against a death-dealing system. As Mumia gradually grew closer to MOVE, he gained a tremendous respect for their founder John Africa. Ever since the City of Philadelphia committed its first act of urban warfare against MOVE in 1978, when nine of their members were taken prisoner, followed by the second military attack in 1985, when their house was bombed and 11 members killed, Mumia has demanded justice for the organization and supported the freedom of the “Move 9.” His earliest writings on MOVE are among the first that we read in Writing on the Wall. The Black leaders that have inspired Mumia are of a different tradition: one of resistance and rebellion punishable by prison, exile or death. Pan-Africanist Marcus Mosiah Garvey was accused of “rabble-rousing” for daring to suggest Blacks look to Africa for economic, social and spiritual strength. The charismatic Rev. Nat Turner, who dared rebel against that most un-Christian of American institutions, human slavery, was damned as a fanatic. Martin Luther King Jr. received accolades for his nonviolent ministry, but Malcolm X received assassination for his ministry of militancy. When Rev. King began to emerge as a vocal opponent of America’s genocidal war on Vietnam, his life clock was stopped. In a young nation born in bloody resistance to England’s crown, resistance is still the ultimate offense by Africans. Mumia’s essay “1967: Year of Fire, Year of Rage,” tells of the flames of rebellion that swept Roxbury, Tampa, Cincinnati, Buffalo, Newark, New Brunswick, Paterson, Elizabeth, Palmyra, Passaic, Plainsfield, Cairo, Durham, Memphis, Minneapolis, and Detroit that summer. The urban rebellions that had begun in Watts, Los Ángeles on August 11, 1965, gave rise to Black organizations that sought to channel spontaneous rebellion into coordinated revolutionary action. Another major influence on the Black Panthers and on Mumia in particular was Malcolm X, who took the civil rights movement to the level of human rights, insisted on the right to self-defense, and argued that instead of being a “minority group,” Black people in the United States were part of the majority of the worlds peoples in Africa, Latin America and Asia seeking liberation. For me and my generation of that era, to hear him speak was like listening to thunder,” said Mumia. “One could not help but be moved, outraged, energized—radicalized. I became, in my heart, a Malcolmite. That influence, coupled with the April 14, 1968, assassination of Martin Luther King Jr. (his closest competitor for Black America’s heart), would propel thousands of young men and women to join the nearest formation of the Black Panther Party. Indeed, this writer (in his 15th year of life) helped found and form the Philadelphia branch of that group. At that young age, Mumia learned journalism as a young Black Panther working on the organization’s national newspaper. And at that young age, he became a target of FBI surveillance. The Panthers’ armed self defense against police violence, their daily Breakfast for Children Program, and their community programs for health, education and housing, mainly led by women, attracted thousands of members in 42 cities in the United States and inspired young people in the Chicano, Puerto Rican and Native American movement and radical white groups. Internationally, the Black Panthers viewed themselves as part of anti-colonial struggles for self-determination and national liberation and sought to build ties with Palestinian and Vietnamese revolutionaries, among others. Moreover, since 9-11, people across the United States have been subjected to an unprecedented erosion of civil liberties, government spying and the exercise of blatant police power as hard-fought workers’ rights have been decimated. And what is the state of Black America half a century after legal gains made by the Civil Rights Movement and the struggle for freedom waged by the Black Liberation Movement? Many Black people in the United States had illusions that things were getting better, that their children would have a brighter future, says Mumia. Then came Katrina. In a flash, in an hour, in a day, in a week, we saw with our own eyes the loss, the waste, the death, and perhaps worse, the dismissal of Black life by virtually every agency of local, state and federal power, and the media as well…. 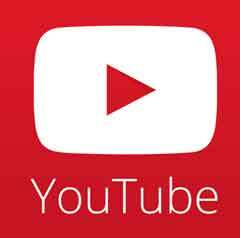 If U.S. Blacks had any illusions, the dark, fetid waters of Katrina washed them away. Nationalism, citizenship, belonging to the White Nation were lies. The waters of Katrina cleared the crust of sleep from our eyes, and taught us that if you’re Black and poor, you’re utterly on your own. In Writing on the Wall, Mumia exposes what goes on in the monstrous U.S. prison system, which has the highest incarceration rates in the world and a population of over 2.2 million—10 times greater than in 1972. As schools close in Black communities and jobs are harder to find than ever, thousands of youth swell the prison population. During the time that he spent on Pennsylvania’s death row, Mumia Abu-Jamal’s writings against the death penalty fueled an international movement to abolish it. He became the voice of thousands facing this punishment considered barbaric in most of Europe, Latin America and Africa. The torture revealed at Abu Ghraib some years before didn’t begin abroad, says Mumia. It can be traced back to “genocide, mass terrorism, racist exploitation (also known as ‘slavery’), land-theft and carnage…in the heart of the Empire,” and especially inside its prisons. Mumia reports that the U.S. Department of Defense chose a man named Lane McCotter, a private prison company executive, to run the now-notorious Abu Ghraib gulag on the outskirts of Baghdad. At the time, the Management & Training Corporation was under investigation by the U.S. Justice Department for brutality charges. McCotter had been the director of the Utah state prison system, until a scandal forced him to resign from his post in 1997. A naked prisoner had been shackled to a chair in one of his prisons for 16 hours, until he died. The issue of police terror is addressed in many of the essays in this volume, including the nationally televised beatings of Delbert África and Rodney King and the police killings of Amadou Diallo, Sean Bell, and Mike Brown. For Mumia, the murder of unarmed Amadou Diallo was a “harbinger of greater violence against unarmed Black and non-white life by the cops.” The unarmed Guinean immigrant was standing just outside his door when four New York City plainclothes cops fired 41 bullets at him, killing him instantly. All four cops were acquitted. …the youth—excluded from the American economy by inferior, substandard education; targeted by the malevolence of the fake drug war and mass incarceration; stopped and frisked for Walking While Black—were given front-row seats to the national security state….Ferguson is a wake-up call. A call to build social, radical, revolutionary movements for change. The publication of Writing on the Wall underscores the failure of the Fraternal Organization of Police and corrupt politicians to silence Mumia Abu-Jamal. In the face of attempts to execute him, smother his voice behind steel walls, slander him in the news media, intimidate supporters, pass laws to try to keep him from speaking out, and most recently, kill him through highly intentional “medical neglect,” Mumia simply refuses to shut up. Like many other political prisoners slated to die in their dungeons, he has what his captors will never have: spiritual strength, dignity, integrity, love for the people, a commitment to revolution --and the ability to read the handwriting on the wall. His message carries the insights of his own generation of Black revolutionaries combined with truths born in struggles in many parts of the world. The time is right. As emerging movements gain strength, vision, and breadth, Mumia finds, in this book a new channel for sharing his ideas with people eager to bring down walls. Carolina Saldaña is an independent journalist based in Mexico City, who also works with the Amigos de Mumia en México collective.